Coach Bob demonstrates how to do a back float without sinking to the bottom. 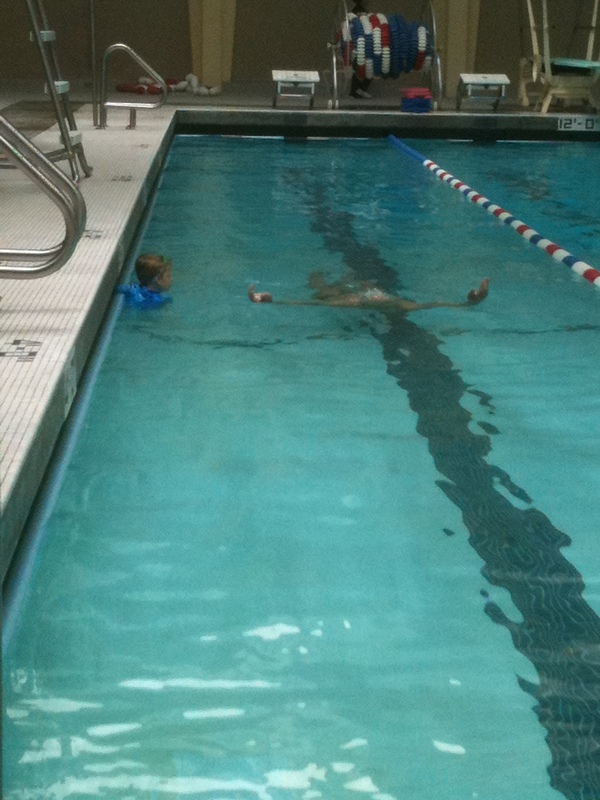 Sinking during a back float is just one of T’s pool fears, so the fact that Coach Bob showed T how to do this the right AND the wrong way speaks volumes about his kid-friendly approach and his ability to get down on the child’s level to instruct. This is the sort of thing I only wish some of T’s former swim teachers had done in lessons’ past.Thanks, Coach Bob!